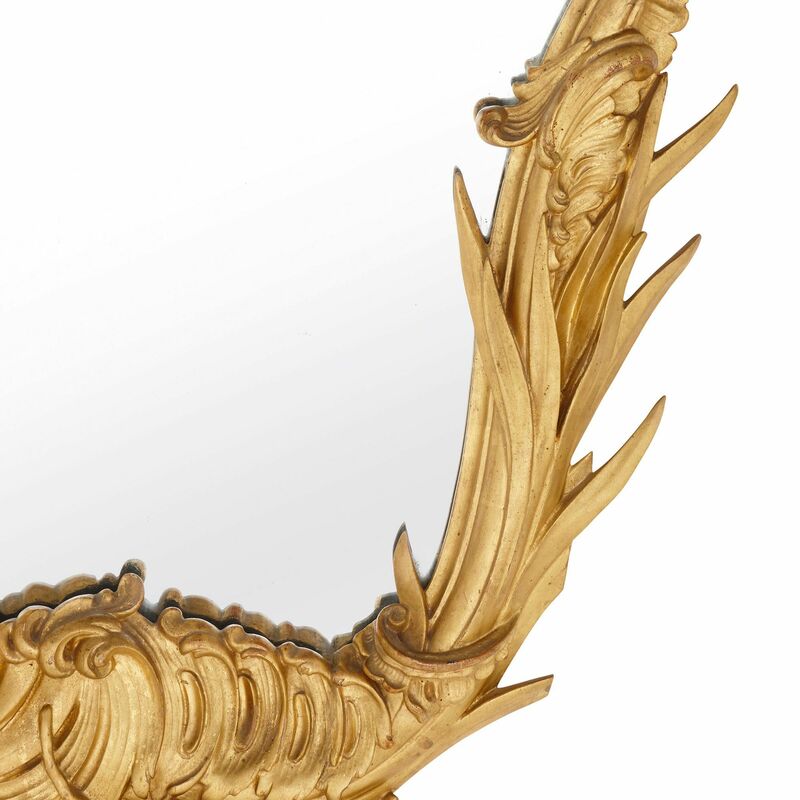 The Rococo curves of this resplendent large antique Italian mirror, carved in the 19th Century, add an elegant and sumptuous element to any interior. 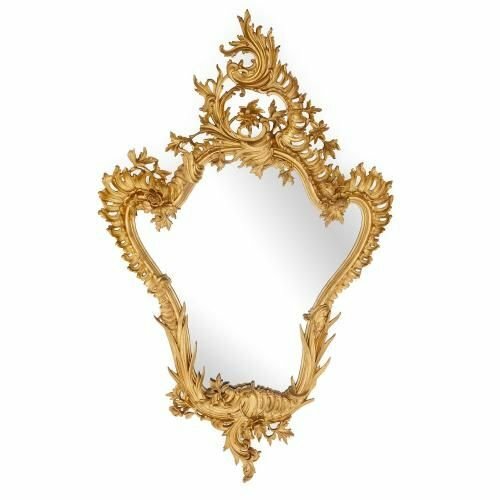 The flowing, giltwood border of this antique Italian mirror is carved with C-shapes, S-shapes, flowers, scrolls and foliage. 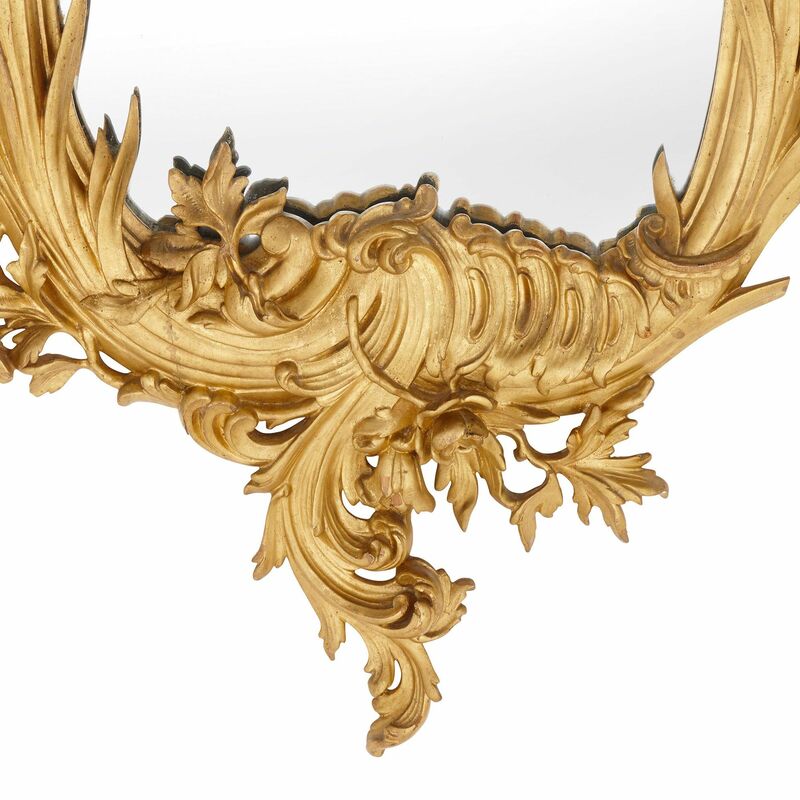 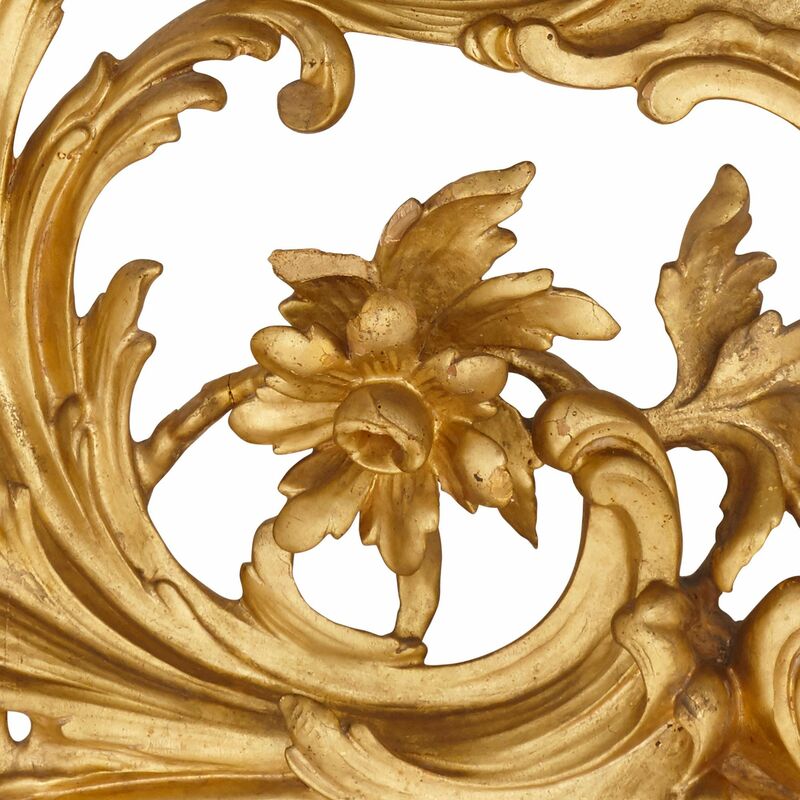 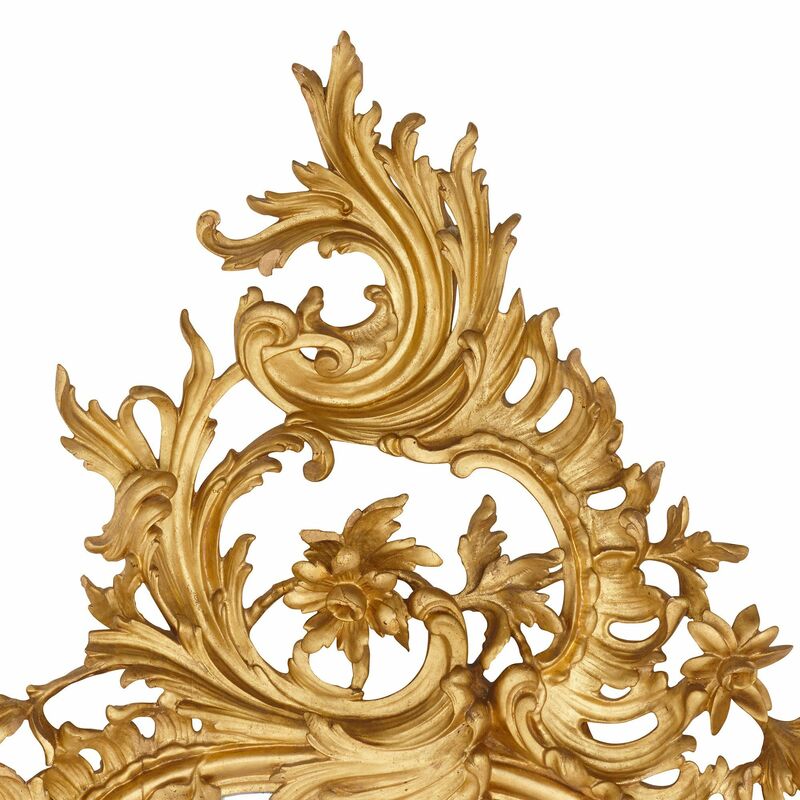 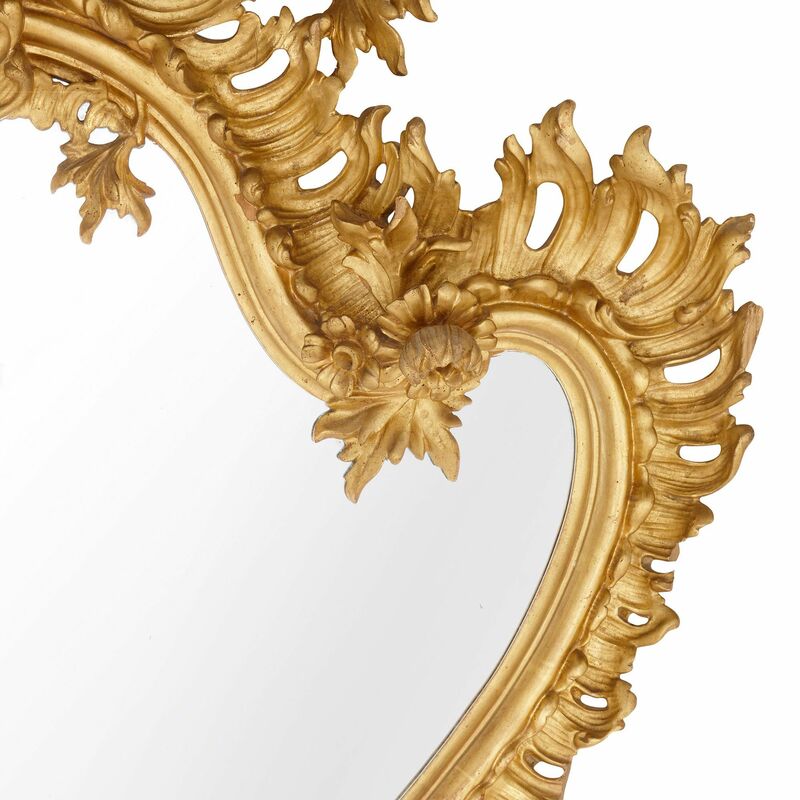 These asymmetric features characterise the finest examples of the Rococo style.